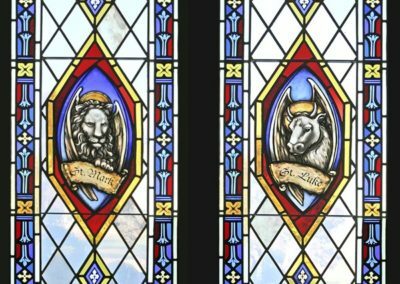 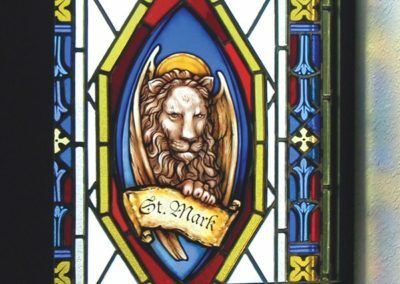 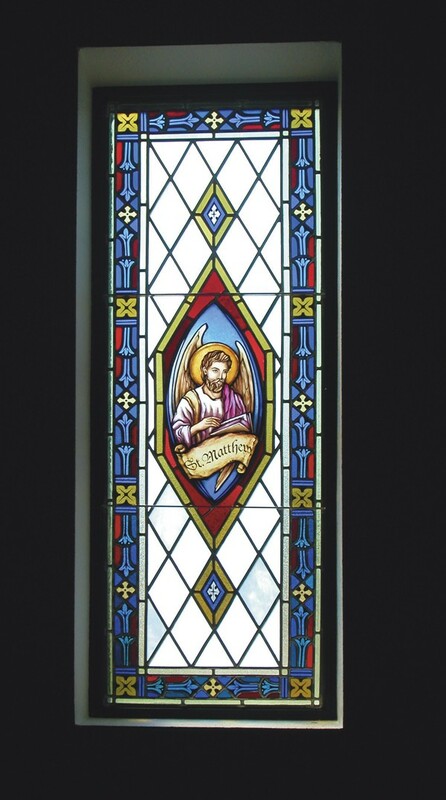 For the modest, St. Francis of Assisi Catholic mission church in Whitesboro, Texas, the goal was to incorporate the spiritual and liturgical presence of stained glass windows and feature the four evangelists. 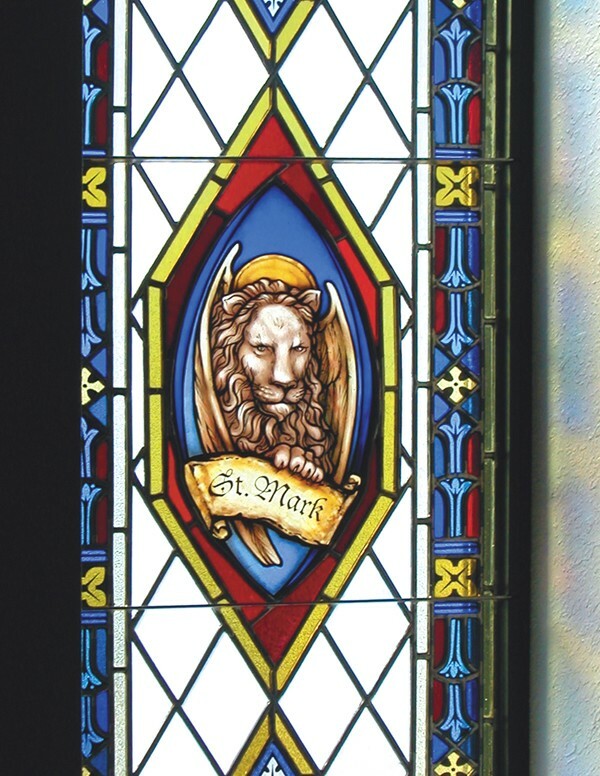 With a limited number of small windows in the church, maximizing natural light was a priority. 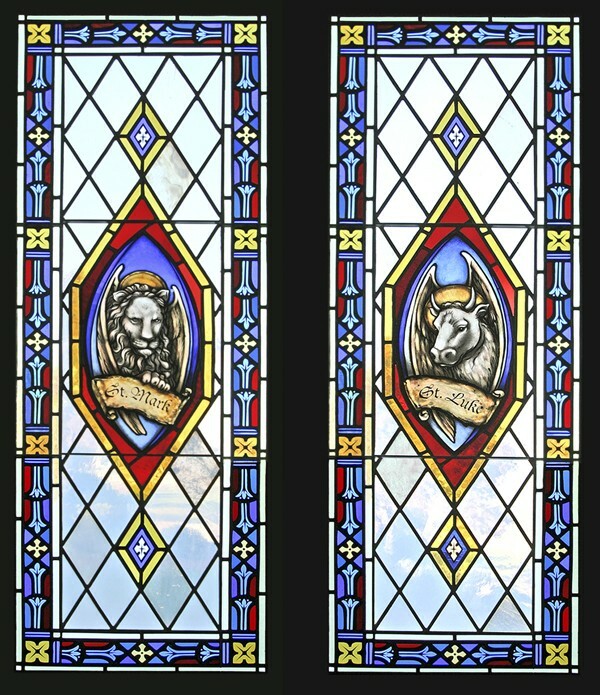 The design direction included a translucent background of “diamond lights,” which was economical and kept the windows bright, while still colorful and dramatic. 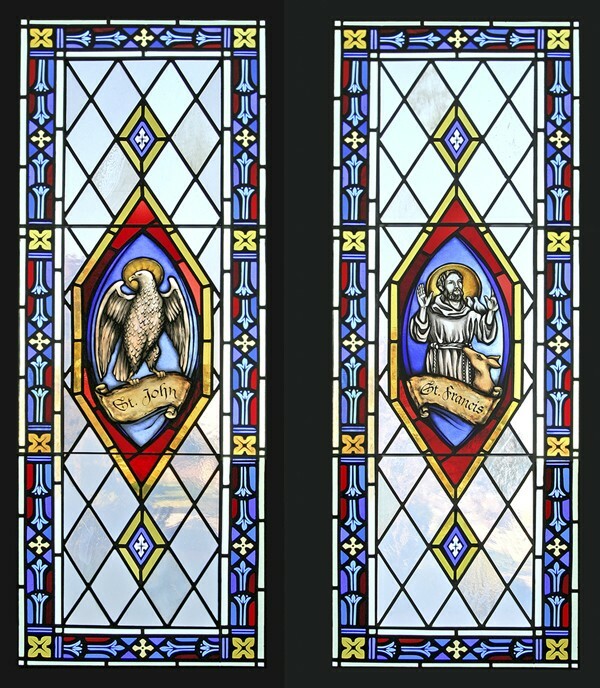 Painted medallions of the evangelists incorporated flash glass to retain the brilliance of the blues and reds. 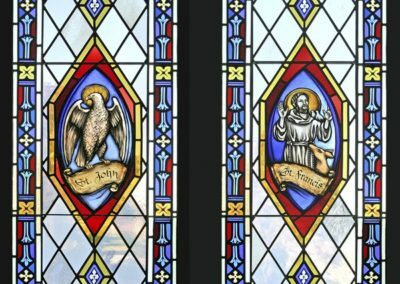 The result for St. Francis of Assisi Church is a more inspiring worship space.